ANDREWS - The Coahoma Bulldogettes lost a double header to Andrews and Brownfield Tuesday night. The Coahoma varsity squad lost to Brownfield 10-25, 12-25, 10-25 and Andrews 10-25, 4-25, 12-25. Kirah Kimball led the Bulldogettes with 4 kills for the two games and Julia Mashburn had nine assists followed by Jadyan Mann with 5. On defense, Cassie Grant led the Coahoma squad with 5 digs. 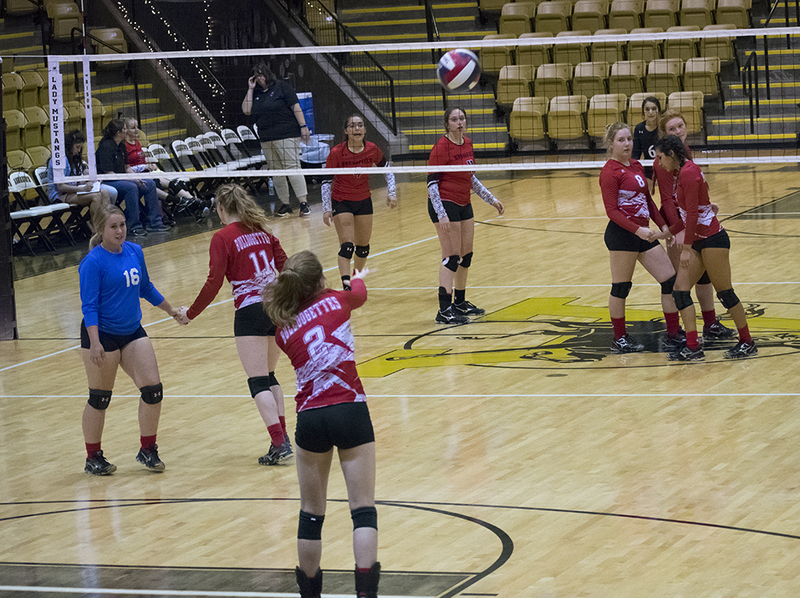 Cailtyn Corley racked up 4 blocks and 4 digs during the two matches. .
Next: The Bulldogettes will open district play with a match against Jim Ned Saturday at the Coahoma ISD competition gym. The first game begins at 10 a.m. with the varsity game expected start at noon. Kills: Julia Mashburn, 3; Ashley Romero, 2; Kirah Kimball, 4, Jaydan Mann, 1; Sydney Rindard, 2; Caitlyn Corley, 3; Paige Atkins, 3; and Cassie Grant, 2. Assists: Mashburn, 9; Overton, 2; Mann, 5; Rinard, 1; Corley, 1; and Grant, 1. Digs: Romero, 1; Overton 2; Corley, 4; Atkins, 1; and Grant, 5.